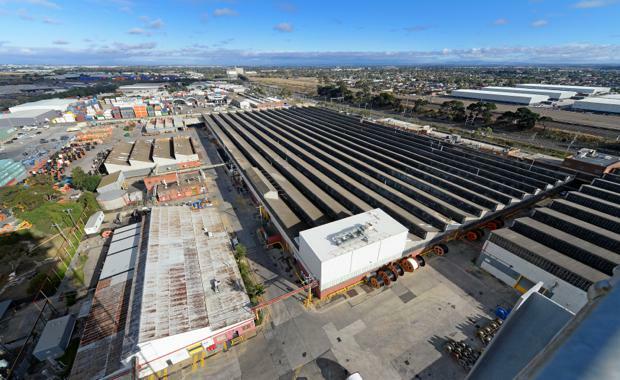 A landmark industrial site in Tottenham is now on the market, coinciding with a surge of early interest in industrial property in Melbourne’s north-west. Colliers International’s Nick Saunders and Stephen Newsham have been appointed to sell a major site at Lot 7A, 207 Sunshine Road in Tottenham, about 7km west of the Melbourne CBD. The property is approximately 121,000sqm and features a large industrial complex totalling 62,600sqm. “There are a number of well-established major corporate occupiers in the precinct, making buying opportunities in the immediate area a very rare commodity, and there are few that offer the scale of the subject property,” Mr Saunders said. “Sites in the Tottenham precinct offer genuine ‘blue sky’ upside to astute developers and owner-occupiers looking to secure strategic sites in Melbourne’s inner west. "The property is located in close proximity to the Port of Melbourne and offers good access for large vehicles. The listing comes amidst strong interest in industrial property in the early stages of 2015. Mr Newsham said more than 200,000sq m of industrial space was already being offered for sale or lease through Colliers International’s North West office in the first few weeks of the year. He said industrial enquiry in Melbourne's north west market was strong and improving on the back of a buoyant 2014. “In 2014, transactions totalled more than 551,085sq m in industrial space including more than $57 million in leasing transactions and $142 million in sales," he said. “Highlights were a lease to Deliver Group at a 17,000sq m facility at 56 Toll Drive, Altona North on behalf of Stockland and the vacant possession sale of a 24,000sq m facility at 28 Salta Drive, Altona North. More than 160,000sq m was leased across the north-west industrial market in 2014.